Well, I was overwhelmed last week when I was awarded Versatile Blogger Award by a great blogger Maryam & thereafter, I was honoured with Illuminating Blogger Award by another great person , Otrazheine. It had been really pleasing to know that my words make so much sense & worth getting these awards. And now, its time for me to recognize the talent and pass on these special awards to few special bloggers here on WordPress. When you are nominated, you’ve been awarded the Versatile Blogger award. – Thanks a ton to “Maryam” for awarding me my first ever award on WordPress. It had been a pleasure for me. And, now my few words about “Maryam” & her blogs- She infact is “versatile” herself and the bandwidth ranges from poems, photographs, food everthing. Her posts revolves around every big & small thing in our day to day life & her thoughts… they are presented in such a lucid, short, simple & ofcourse beautiful manner that you will just love reading her stuff. Its a humble request to all my nominees here to have a look at Maryam’s posts as well. 1) I like thinking & exploring.. myself & my surroundings. 2) I like putting my thoughts in words. 3) Being an engineer by profession, I try putting logic also.. though its not always possible. 4) Likes reading books, blogs everything. 5) Believes that the world can change if what we think changes. 6) Believes that I learn everyday, I grow everyday , so I try to find something in everything. 7) Believes that words can do miracles.. if we know how to present them . 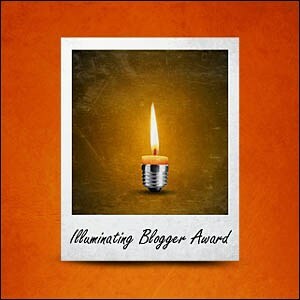 When you are nominated, you’ve been awarded the Illuminating Blogger award. Share a random thing about yourself. Select 5 or more nominees for the award, a link to their blogs in your post, and notify them on their blogs. At present, I would like to share that I am addicted to “WordPress”. I am enjoying reading & writing to the fullest these days… and it just feels that My “WORLD” is surrounded by magical “WORDS”. With this I would like to conclude that its really great to find you people here. I am really glad that we are here on this common platform to exchange our views & ideas across the world. This entry was posted in Awards and tagged Awards, Blogs, Featured, Honour, Illuminating Blogger Award, More, News, Nomination, Random, review, Versatile Blogger Award, Writers by Akanksha. Bookmark the permalink. Thank you so much for nominating Searching for the Happiness. You made my day!! And u help making our lives happier.. by sharing ur beautiful thoughts & infusing the positive outlook… You really deserve to be awarded Wendy..
& Congratulations 2 u too for receiving these great awards of “Versatile” & “Illuminating” Blogger… You truely deserve them.Keep It Up!! 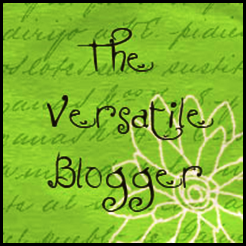 ‘The versatile Blogger award’ is my first one too! Thank you for explaining the “awards.” You deserve yours. I’m looking forward to reading more.